TBILISI (Sputnik) – London police have detained independent UK journalist Graham Phillips near the Georgian Embassy, who was shouting anti-Georgian and anti-NATO slogans during an exhibition dedicated to the 10th anniversary of the start of the military conflict in South Ossetia, Georgian Envoy to the UK Tamar Beruchashvili said. The Georgian Foreign Ministry informed about the journalist's detention, without disclosing his name. "On August 7, 2018, during the ongoing Victima exhibition in the UK, dedicated to the 10th anniversary of the August War, a stranger broke into the Embassy building, behaving aggressively. He filmed the exhibition without permission, loudly chanted slogans against NATO, and accused Georgia of providing the UK audience with incorrect information," the ministry said in a statement. The ministry added that an investigation into the case was launched. 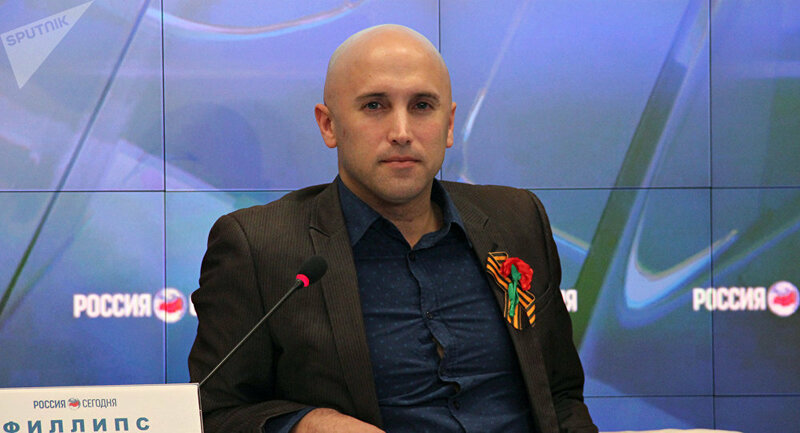 "The diplomatic police, who were called on the spot, acted quickly and detained Graham Phillips," Georgian Ambassador Beruchashvili told reporters. The republics of South Ossetia and Abkhazia declared independence from Georgia in the early 1990s. On August 7, 2008, Georgia launched a military offensive against the region of South Ossetia and then partially destroyed its capital, Tskhinvali. Russia sent troops to the republics in an attempt to protect local residents, many of whom were Russian nationals. After five days of hostilities, Russia managed to expel Georgian troops from the region, securing South Ossetia and Abkhazia.